Keep your black box sonar on the water with this replacement right angle transducer adapter cable, which has 12-pins and is 600mm long. 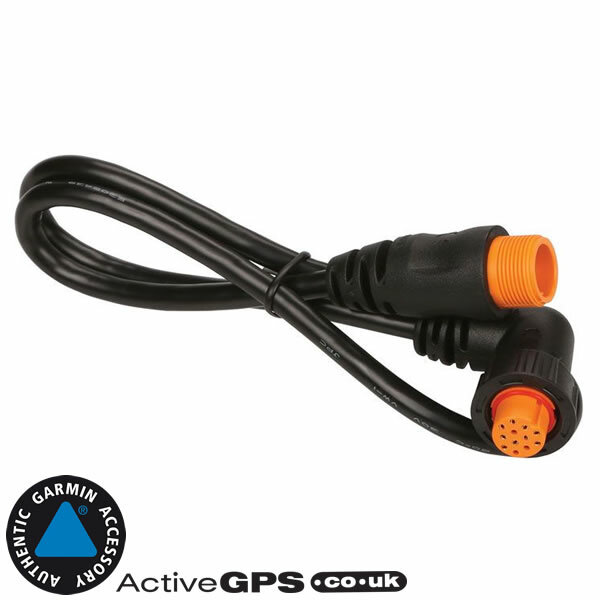 Compatibility: Compatible with Garmin echoMAP CHIRP 75sv, 92sv, 95sv, ECHOMAP Plus 75sv, 95sv, GPSMAP 7407xsv, 7408xsv, 7410xsv, 7412xsv, 7416xsv, STRIKER 7sv, STRIKER Plus 7sv, 9sv. If you'd like to add Garmin marine BlueCharts to your Garmin compatible echoMAP, ECHOMAP Plus, ECHOMAP Ultra or GPSMAP chartplotter you can do just that by buying and loading the latest Garmin BlueChart G3 and G3 Vision. The charts come preloaded on microSD card together with a SD card adaptor. Simply insert the SD card into your Garmin echoMAP/GPSMAP and you are ready to sail, cruise, etc, with the latest nautical Garmin charts. 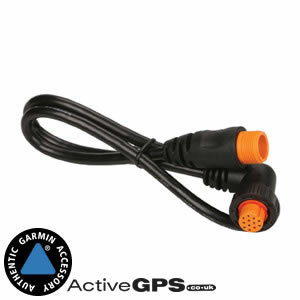 What is the Garmin 12-pin Transducer Adapter Cable compatible with? Garmin echoMAP CHIRP 75sv, 92sv, 95sv, ECHOMAP Plus 75sv, 95sv, ECHOMAP Ultra 102sv, 122sv, GPSMAP 7407xsv, 7408xsv, 7410xsv, 7412xsv, 7416xsv, STRIKER 7sv, STRIKER Plus 7sv, 9sv.